Ann Takes Gold For Ashford House! Ashford House Nursing Home in Dun Laoghaire is celebrating winning at the Nursing Homes Ireland Care Awards 2014. Ann Moore, Activities Co-ordinator, is the winner of the NHI Social and Recreational Programme Award 2014. 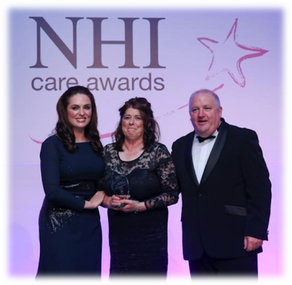 Ann accepted her award at the prestigious national awards ceremony which took place in Citywest Hotel on 6th November 2014. 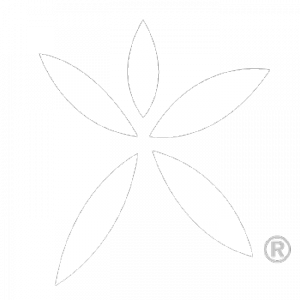 Ashford House Nursing Home had an unprecedented six finalists in the Care Awards this year. Denise Morrin, Provider of Ashford House, congratulated Ann on her success and expressed the delight and pride felt by everyone in Ashford House – to have six finalists in the Care Awards was an achievement in itself but to go on and win one of the categories was astounding. Denise said that Ann is an amazing person who provides stimulating activities and a wonderful environment every day in Ashford House for all of our residents. This award is very well deserved and recognises all of Ann’s dedication, innovation and excellent contribution to life in Ashford House. Ann said she was both honoured and delighted to accept the award and expressed her thanks to NHI, the judging panel, and all in Ashford House. Terry Takes Gold For Ashford House! Ashford House Nursing Home in Dun Laoghaire is celebrating winning at the Nursing Homes Ireland Care Awards 2012. 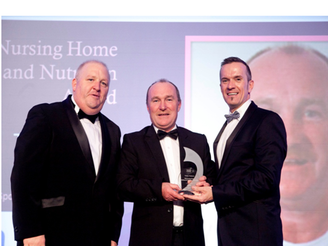 Terry Tiernan, Head Chef in Ashford House, is the winner of the NHI Care Awards 2012 Nursing Home Catering and Nutrition Award. Terry accepted his award at the prestigious national awards ceremony which took place in Citywest Hotel on 15th November 2012. He was selected from among over 300 nominations that were submitted for the NHI Care Awards from all over Ireland. Denise Morrin, Provider of Ashford House, expressed her delight at Terry receiving this award and stated that it was very well deserved and recognised all of his dedication, innovation and many achievements in Ashford House. Terry said he was both honoured and delighted to accept the award and expressed his thanks to NHI, the judging panel, and all in Ashford House.